Holidaying in any place, near or far, takes a lot of preparation. While most of our attention lies in accommodation and sight-seeing, there is one thing that we just cannot ignore, and that is travelling. When it comes to travelling, the most comfortable mode remains flights, and one cannot disagree to this. Because the price of flight tickets keep soaring high, it often becomes difficult for us to travel by air and we end up taking the other inconvenient ways of travelling. Not anymore. GoPaisa has amazing flight deals for all that not just make traveling by air affordable but also save time and money. GoPaisa has for its users a list of travel retailers who offer great offers on flight tickets. When you book your tickets at these retailer’s website you get an added discount as well as cashback on your transaction. Here is a list of all the flight service providers who make travelling by air the best option. Makemytrip is one website that we look up to every time we need to book flight tickets. This travel website often comes up with sale season during which the fares of flights go low. All you need to do to avail these sale season offers is to use the Makemytrip coupon available at GoPaisa. These Makemytrip flight coupons make flight fares affordable. At Gopaisa you will come across a long list of Makemytrip coupons and Makemytrip promo codes that will allow you to save on flight tickets. On using Makemytrip discount coupon you are also eligible for GoPaisa cashback. This cashback can later be redeemed for numerous purposes. Looking for a great discount on your domestic Flight booking? Get Rs 1500 cashback to Card on Domestic Flight bookings Paid Using Axis Bank Debit and Credit Cards and Citi Credit Cards. You can get the best offers and discounts on MakeMyTrip SpiceJet Flights. For domestic SpiceJet flights on MakeMyTrip, you can get the lowest airfare offers and discounts upto 2000 INR instantly upon sign-up. 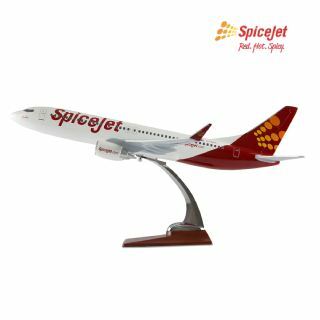 SpiceJet Flights on MakeMyTrip start as low as 1069 INR. During the booking process, select ‘ZERO Cancellation’ option by paying an additional fee of Rs. 99/- per passenger & enjoy ZERO penalty in case you wish to cancel the booking. To process your cancellation at ZERO penalty, logon to support.makemytrip.com and process the cancellation. Waiver for your cancelation will be applied automatically. Complete amount paid at the time of booking, except for the ZERO Cancellation charges will be refunded to customers account. Yatra is another trustworthy website for booking flight tickets. At Yatra you can book flights for both domestic and international destinations. This travel portal offers bookings for almost all national and International airlines which cater in India. Some of them are GO Air, Air India, Spice Jet, Lufthansa, British Airways, and Air Asia etc. While booking your flight tickets at Yatra make sure you use the Yatra coupon available at GoPaisa. These flight coupons will not just give you an added discount on your ticket booking but also get you cashback in your GoPaisa wallet. So, make use of the Yatra discount coupons and travel without spending much time and money. 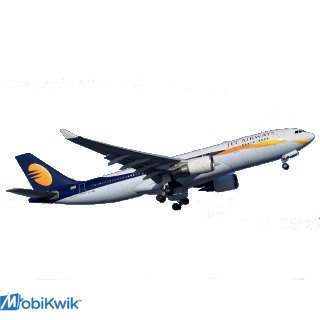 Jet Airways is India's premier international airline which provides you with one of the flight experiences. It operates over 300 flights daily to 68 destinations worldwide from its main hub at Chhatrapati Shivaji International Airport and secondary hubs. Jet Airways serves 48 domestic and 20 international destinations in 17 countries across Asia, Europe and North America. Get the latest JetAirways coupons at GoPaisa and travel luxuriously without spending much. Cleartrip offers bookings for almost all national destinations along with Gulf nations of Oman, Qatar, Kuwait, Bahrain, and Saudi Arabia. Cleartrip often comes up with Cleartrip discount coupons and Cleartrip flight coupons during festive sale. The Cleartrip domestic flights promo codes are the most awaited ones as they offer you a chance to visit your favourite destination for a low price. Most of these coupons are easily accessible for you if you make your booking via GoPaisa. Flying from one place to another has become convenient and affordable with Cheapoair. It is one of the few website that offers flight services for both domestic and international destinations. During Sale season, Cheapoair often comes up with Cheapoair discount coupons, Cheapoair flight coupons, etc. The Cheapoair promo codes for domestic flights are the most awaited ones. If you are planning an international trip, then search for Cheapoair international flight offers. You can get added benefits on booking your flight tickets at Cheapoair if you use Cheapoair coupons listed at GoPaisa. These coupons make flight tickets pocket friendly. When it comes to travelling from one place to another, Musafir is one website that you can find assistance at. Be it a domestic vacation or international vacation, Musafir provides flights for all. They offer flights to over 3,000 destinations around the world. During Sale season, Musafir often comes up with Musafir discount coupons, Musafir flight coupons, etc. The Musafir promo codes for domestic flights are the best to avail during their festive season sale. The same applies for Musafir international flight. These Musafir coupons make International flights budget friendly. GoAir is India's leading domestic airline which offers its customers a world class travelling experience. With its fabulous services and consistency along with well-organized procedures and emphasis on modernization GoAir is the best flight to travel by. Book your flight tickets using GoAir coupons and get rewarded at GoPaisa. At GoPaisa you will come across a list of GoAir discount coupon and GoAir deals that will make traveling by air reasonable. Expedia offers flight services domestic as well as international destinations. With Expedia you can make bookings for almost all national and International airlines. Use the Expedia discount coupons, Expedia flight coupons, etc. listed at GoPaisa and avail amazing Expedia offers on Flight booking. The Expedia promo codes for domestic flights are the most awaited ones. If you are planning an international trip, then do look out for Expedia international flight offers. Qatar Airways is known for its many offers that will make you plan a great international trip without pinching your pocket. While booking your Qatar Airways flight, you can get upto 15% off if you make the transaction using an SBI card. They offer special fares for Atlanta from different Indian cities like Delhi, Chennai, Mumbai, Bengaluru and Hyderabad. 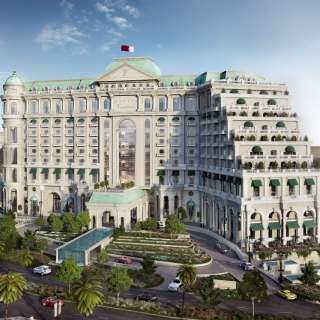 If you are planning a trip to Los Angles from Delhi, then do book Qatar Airways fights as they are offer tickets at best price with top class services. Along with this, Qatar Airways has some special ticket prices for locations like New York, Washington, Sydney, Boston and Dubai. Book your flight tickets at Qatar Airways via GoPaisa.com and get Qatar Airways discount and GoPaisa cashback on your transaction. Vistara is an airline service that was formed as a joint venture between Tata Sons Ltd. and Singapore Airlines (SIA). The airline operates to eighteen destinations with a fleet of Airbus A320-200 aircraft. It was the first airline to present premium economy seats on domestic routes in India. travel by Vistara to experience luxury at its best. You can book your flight tickets at Vistara via GoPaisa.com and get added discount and cashback on your booking transaction. Thomascook offers flight services for both domestic and international destinations and hence is one portal that surely comes to our mind while booking flight tickets. Often this travel service provider comes up with sale that make traveling by air cheaper. Along with this one can even use Thomascook discount coupons, Thomascook flight coupons, Thomascook bus coupons, etc. listed at GoPiasa while booking flight tickets at Thomascook.com. MakeMyTrip New Year Domestic Offer: Get Upto Rs.2018 Off On Domestic Flight Bookings.Apply The Given Coupon Code To Avail The Offer.This Offer Is For All Users.Book Flights 15-20 Days In Advance To Get Best Rates.Also Get Upto Rs.350 Cashback In Your GoPaisa Account.Limited Period Offer. MakeMyTrip Domestic Offer: Flat Rs.400 Off On Your Domestic Flight Bookings Of Rs 2500 Or More.Minimum Booking Amount Of Rs.2500 Is Is Required To Avail The Offer. Apply The Given Coupon Code To Avail The Offer.This Offer Is For All Users.Book Flights 15-20 Days In Advance To Get Best Rates.Also Get Upto Rs.350 Cashback In Your GoPaisa Account.Limited Period Offer. MakeMyTrip GoAir Domestic Offer: Get Upto Rs.2018 Off On GoAir Domestic Flight Bookings.Apply The Given Coupon Code To Avail The Offer.This Offer Is For All Users.Book Flights 15-20 Days In Advance To Get Best Rates.Also Get Upto Rs.350 Cashback In Your GoPaisa Account.Limited Period Offer. Yatra ICICI Card Offer : Get Flat 400 Off On Domestic Tickets Of Rs 4000 Via ICICI Cards.Minimum Amount Of Rs 4000 Is Required To Avail The Offer.his Offer Is Valid For Transactions Made Till December 31 , 2017.Limited Period Offer. Yatra Rupay Card Offer : Get Flat 400 Off On Domestic Tickets Of Rs 4000 Via Rupay Cards.Minimum Amount Of Rs 4000 Is Required To Avail The Offer.this Offer Is Valid For All Users.Limited Period Offer. Yatra Domestic Flight Offer : Flat 100 Off On Domestic Flight Bookings Through M-pesa Wallet.No Coupon Code Is Required To Avail The Offer.this Offer Is Vald For All Users.Also Get Upto Rs 100 Cashback Into Your GoPaisa Account. Goomo International Offer : Get Flat 3500 Off On International Flight Bookings.Minimum Booking Amount Of Rs 50000 Is Required To Apply The Coupon Code.This Offer Is Applicable To All Users. Offer Ending Soon Also Get Upto Rs.350 GP Cashback. Goomo Domestic Offer UPTO Rs.2000 Off On Domestic Flight Bookings.Maximum Discount Of Rs. 2000 Is Applicable To Booking Value Of Rs. 30,000 And Above.At Least Booking Value Of 3000 Is Required To Apply The Given Coupon To Get Instant Off.This Offer Is Valid For All Users. Get Flat Rs. 850 Instant Discount On International Flight Bookings , Booked Via ICICI Bank . Goomo Flight Booking Offer - Get Discount Upto Rs.15000 On Flights For Axis Bank Customers. Pay Using Axis Bank Credit Card Or Debit Card To Avail This Offer . Get Flat Rs.300 Instant Discount On Minimum Booking Amount Rs. 3000. Get Flat Rs.800 Instant Discount On Minimum Booking Amount Rs. 9000. MakeMyTrip Sunday Special Offer: Book Flight Ticket And Pay With Mobikwik Wallet To Get Rs.1000 Super Cashback. Makemytrip Domestic Flight Booking Offer : Get Upto Rs. 1000 Instant Discount On Flight Bookings . Get Discount Upto Rs 15000 On International Flight Bookings.Minimum Booking Amount To Get The Discount Is Rs 10000. Use State Bank Of India Credit/debit Cards For Discounts On Domestic Flights. Use Promo Code SBIAP17 To Get Flat Rs.400 Off On Minimum Transaction Of Rs.400. Yatra Mobikwik Offer: Save 10% upto Rs.500 SuperCash on Domestic Flight Bookings.No minimum Booking Required to get the supercash.Offer is valid once from 26th March,2018 till 15th April, 2018.Offer valid for all users. Avail offer Now!. Flat Rs.1000 off on Domestic Flight Bookings via Yatra SBI card. Minimum booking amount of Rs.5000 is required. apply the coupon code to avail the offer. Offer applicable for all users.Schedule Your Booking 15-20 days in advance To Get Best Fares. Also get upto 1 % GP cashback . Limited Period offer. Jet Airways Sale : Book Flight tickets at lowest fares . This offer is valid for all customers. Flight Now. Book Flight 25 days in advance to get best rates.Limited Period Offer. Air Asia Big Sale : Fare starting Rs.1299..Book Flights 1-2 months in Advance to get best prices.Also earn upto Rs.350 cashback in your GoPaisa account.Limited Period offer. Sunday Offer: Get Flat Rs.1200 off on Domestic Flight bookings via RBL Bank Credit Cards. Minimum Booking above Rs.6000 required. Apply given coupon code on the payment page to get the offer.Offer only valid on bookings made via RBL Bank Credit cards.Also get upto Rs.350 GP cashback.Limited Period offer.Book Now. 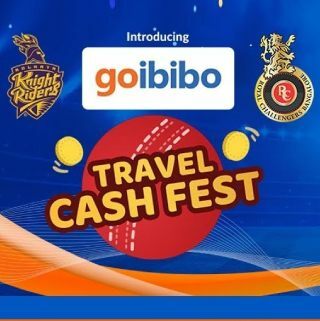 Travel Aggregator MMT comes up with an offer with Mobikwik Wallet where you can save Rs.300 Supercash on Payment via New Mobikwik Account.Minimum transaction amount through Mobikwik should be Rs.500 to avail the offer. Apply the code NEW300 on Mobikwik payment Page. Offer only applicable to New Mobikwik Users.Also get upto Rs.350 GP cashback on flight Bookings. Avail offer Now ! Get 10% SuperCash when you pay with MobiKwik on MakeMyTrip!.The minimum transaction required to qualify for this offer is Rs.3000.No code is needed to avail this offer.Maximum MobiKwik SuperCash is Rs.600.Schedule Your Booking 15-20 days in advance To Get Best Fares.Offer is valid for both one-way or return flight bookings.Offer Valid for all users.Also get upto Rs.350 GP cashback. MakeMyTrip International Flight Offer : Flat 10% discount upto Rs.10000 on the International Flight Bookings.Minimum Booking for international Flight of Rs.5000 is Required to get offer.Apply the given coupon code at the payment page to avail the offer.Schedule Your Booking 15-20 days in advance To Get Best Fares.Offer is valid for both one-way or return Flight Bookings.Offer Valid for all users.Also earn upto Rs.230 cashback in your GoPaisa account.Hurry Limited Period Offer. PAYBACK offer : Get 100% PAYBACK points back + Extra 2 PAYBACK points for every Rs.100 spent on your Flight Bookings.Offer is valid for PAYBACK registered customers only.To avail the offer, PAYBACK Member would need to redeem PAYBACK points to get back equivalent Bonus points in the members account.Maximum Bonus Points is capped at 2000 points per flight booking.Avail offer Now.